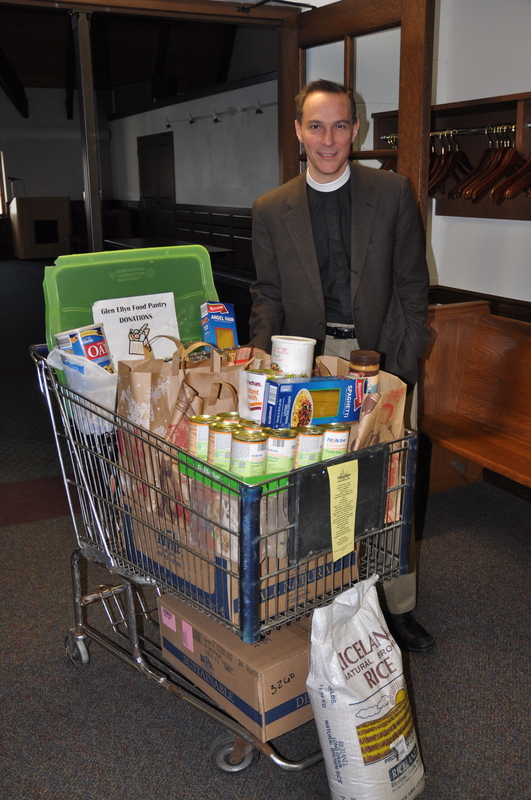 Reverend George Smith continues to think of new ways to keep the attention of the Glen Ellyn Food Pantry in the minds of St. Mark’s Episcopal Church parishioners throughout the year. 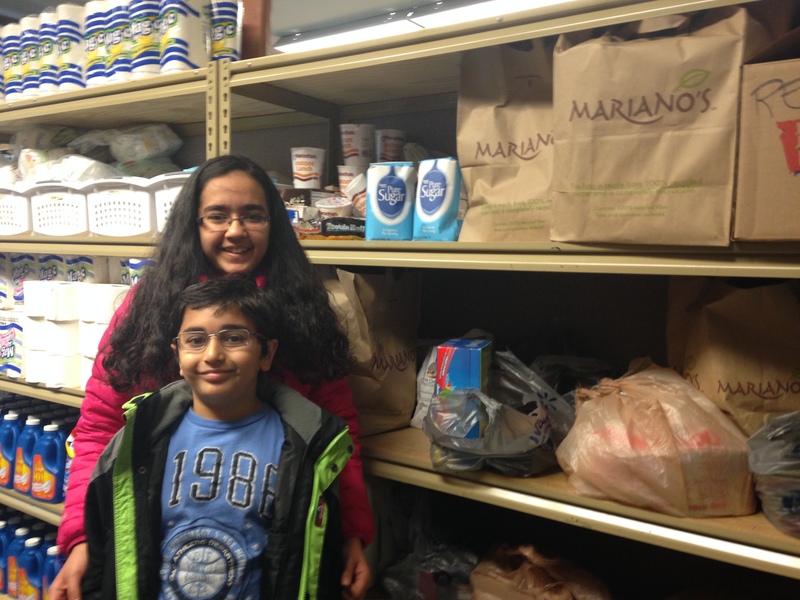 St. Mark’s has been an active parish in supporting the Glen Ellyn Food Pantry for many years. 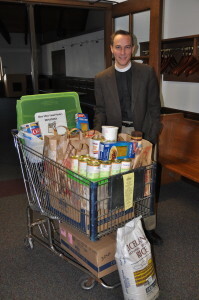 In order to bring a fresh reminder that “Feeding the Hungry” is such a necessity in our neighborhoods, Reverend George approached the owner of McChesney and Miller, Bill Behmann, and asked if the store would donate a shopping cart to St. Mark’s. Immediately Mr. Behmann said “yes”. Rev. George put the grocery cart in the hallway to the Mahon Parish Hall. This is very visible and has been a reminder daily for the parishioners of the church and the children of the school of what it takes to Feed the Hungry. Rev. George Smith has been the Rector of St. Mark’s Episcopal Church since February, 2006. St. Marks Episcopal Church traces it founding back to July 11, 1897. 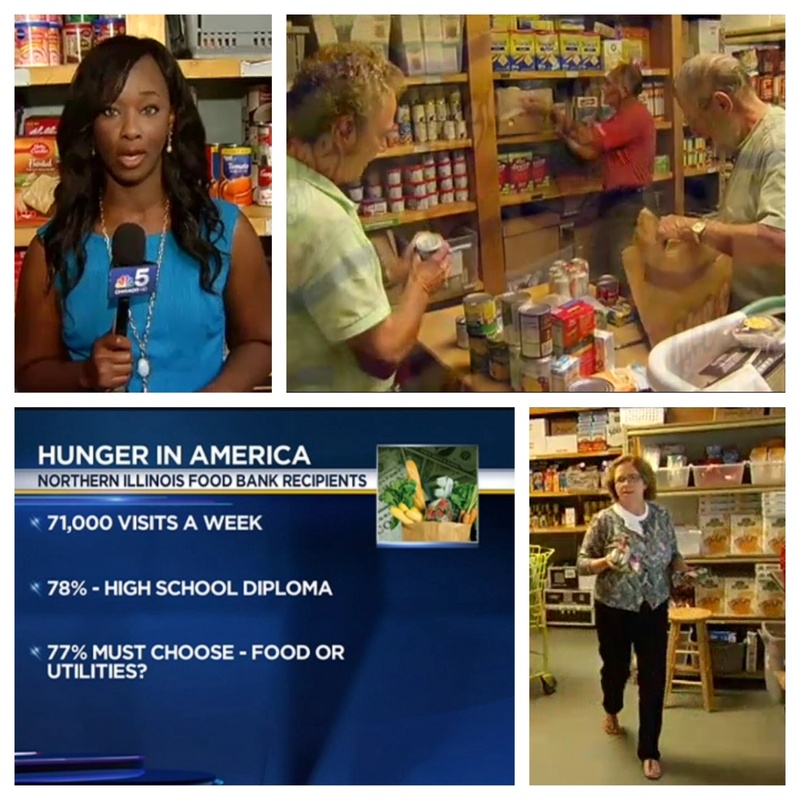 Any donations to the Glen Ellyn Food Pantry can be dropped off to St. Mark’s Episcopal Church at 393 North Main St., Glen Ellyn, Il 60137 Phone:630-858-1020 or to the Glen Ellyn Food Pantry inside Grace Lutheran Church: 493 Forest Avenue Glen Ellyn, IL 60137, Phone: 630-469-8668. Anna Mae Bedsworth is a 7 year old GE resident and a student at Wheaton Christian grammar school. 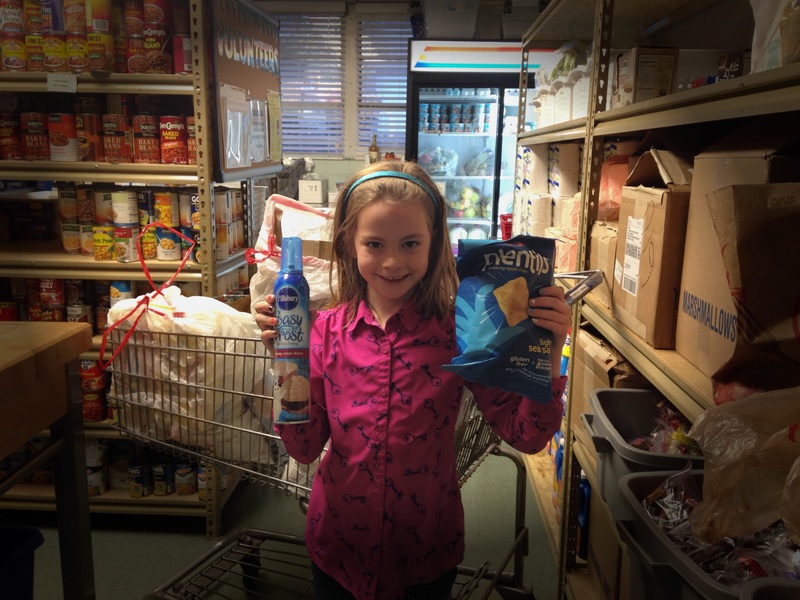 She asked her friends to bring food for the Food Pantry instead of presents for her 7th B day party. 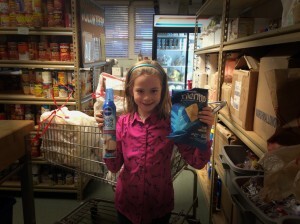 She collected 10 bags for the Pantry! 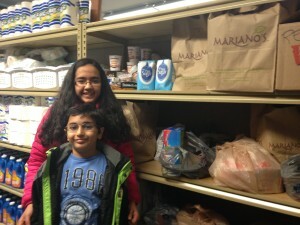 A Big Thank You to the two kids from GDH who did a food drive in their neighborhood on Halloween called “Scare away HUNGER” that provided the Pantry with 19 bags of food! A big Thank You to Eagle Scout Spencer Mariottini for organizing a food drive for the Glen Ellyn Food Pantry! 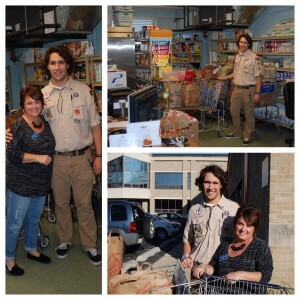 He collected 65 bags of food! Food Label Confusion: What do ‘Best by’, ‘Sell by’, ‘Use by’ mean? Read the full story from Good Morning America. Watch The New Face of Hunger in America, a report by NBC Chicago News, featuring Glen Ellyn Food Pantry. 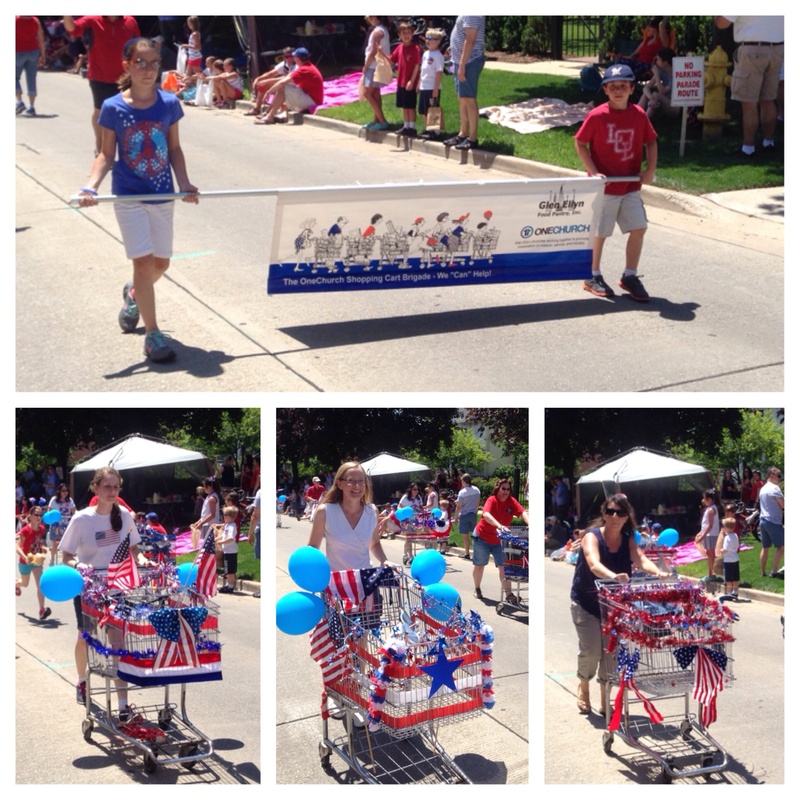 Thank you One Church Shopping Cart Brigade!